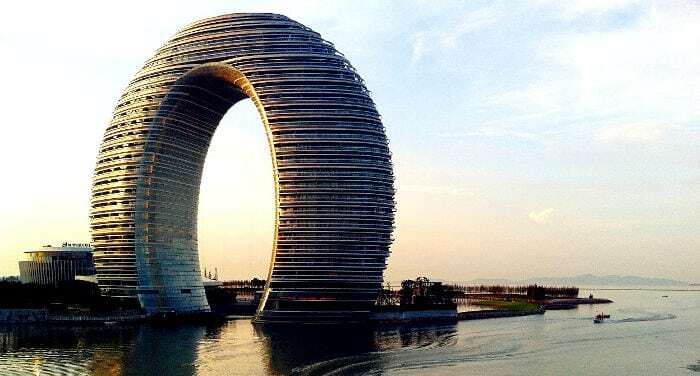 What online portal do you have to use to book a hotel in China? How to get a hotel booking valid for the visa application process? What type of hotel should I choose? The purpose of this guide is to show you how and where to book a hotel in China. If you’re interested on booking a hotel in a specific Chinese city, you can head directly to our hotel reviews. Chinese hotels must register all of their customers with the police station. So, you will always have to show your passport when you arrive at the hotel. Not all hotels in China have a license to lodge foreigners. Because of this, I recommend that you make a reservation in advance and avoid having to try several hotels before you find one that you can stay at. In order to obtain a tourist visa for China, remember that you’ll need an invoice of the hotel/hotels with the full name of all the people that will stay at the hotel and need a visa as well (unless you have a letter of invitation). Below, in this article, we explain how to get this document. 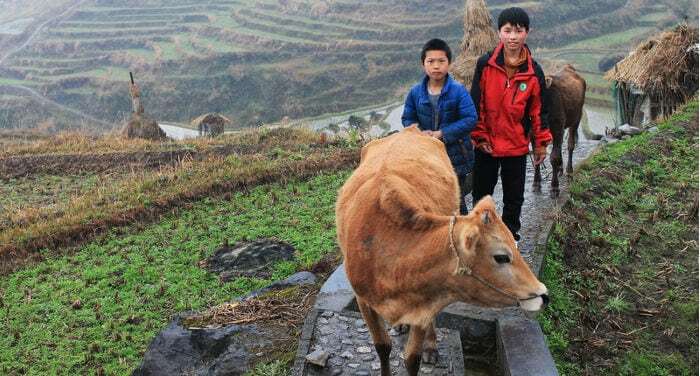 In this article I’ll tell of how you can get to the Vietnamese city of Lao Cai on foot, crossing the border at the Chinese city of Hekou, focusing on my personal experience and my feelings on the day I crossed. I hope that by reading this article you’ll want to travel slowly and lose yourself in the magic of the borders! Who knows what shape borders will take over time, whether they will increase or disappear to allow people to get around without too many problems. I always imagine them to be impervious and silent places, where the sound of the wind and some stationary soldier accompanies the rivers and mountains, and where you can meet intrepid travelers. But my imagination was for the most part influenced by the ancient prose of explorers and travelers who passed through these areas. Note: If you are only interested on getting a free quotation for a travel agency, then we recommend World Nomads (click here to get your free quotation). Why do I need an health insurance when I travel to China? What insurance do we recommend? What should a good insurance cover? What should I do when I need medical assistance? 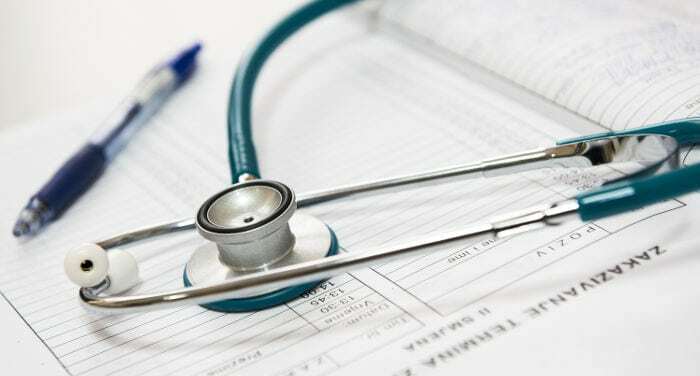 When I decided to go to China for the first time, finding an affordable and comprehensive health insurance was one of my first concerns, as I knew that, while in my country I was covered by the welfare system, in China I was on my own. This also applies for short-term travelers: unless you have international insurance, you won’t be covered while traveling around Asia. Health insurance isn’t compulsory when you travel, so you can still go to Asia without any insurance and hope to never get sick, have an accident, lose your luggage or having your flight canceled by a storm. However I won’t do it myself. It’s too risky. Especially when you consider that a good travel insurance only costs you a couple of USD per day. Chinese hospitals are business oriented and they won’t help you unless you can pay cash in advance or they can verify that you’re covered by an adequate medical insurance. I repeat, if you can’t pay nobody will help you. Also, the international hospitals in China (where doctors and nurses can speak English) are often more expensive than hospitals in the U.S.
Ningxia (宁夏), whose capital is Yinchuan (银川), is technically the smallest Chinese province, but also an autonomous region in China on the border with Inner Mongolia with a population exceeding six million three hundred thousand inhabitants. 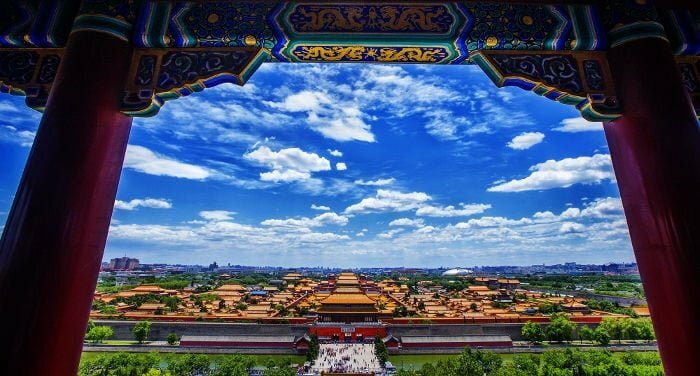 In Yinchuan there’s an airport with a discreet network of connections, but this shouldn’t scare you off: Ningxia is very small, you can easily get around by bus and train. The complete name for this place (Ningxia Huizu Zizhiqu, 宁夏回族自治区) gives us information about the ethnicity of its inhabitants: Ningxia is in fact the main dwelling place of Chinese of the Hui ethnicity (even though there’s no shortage of Han, especially in the capital). In 1954, Ningxia was incorporated into Gansu (甘肃), but in 1958 it became an autonomous region. 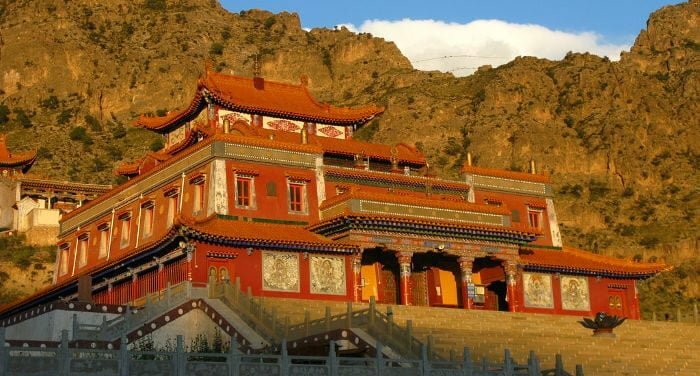 Ningxia, with a surface area of about 66,400 square kilometers, is a very harsh territory that alternates between bare mountains and dusty plains; additionally, this area is practically divided in half by the Yellow River. 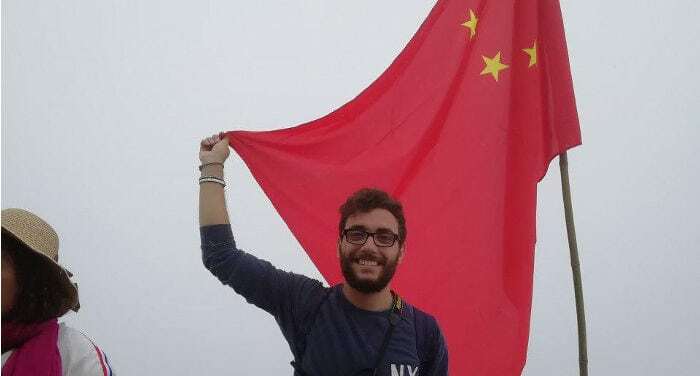 Do I need a visa to visit China as a tourist? Where can I apply for a Chinese tourist visa? 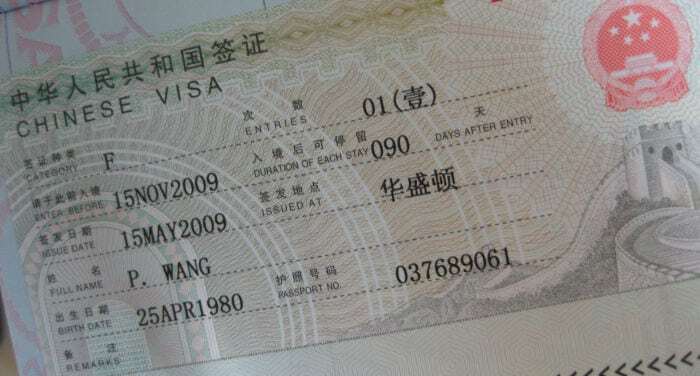 How long will a Chinese visa last? How much does a Chinese visa cost and how long will it take to get one? What documents will I need to get a visa? 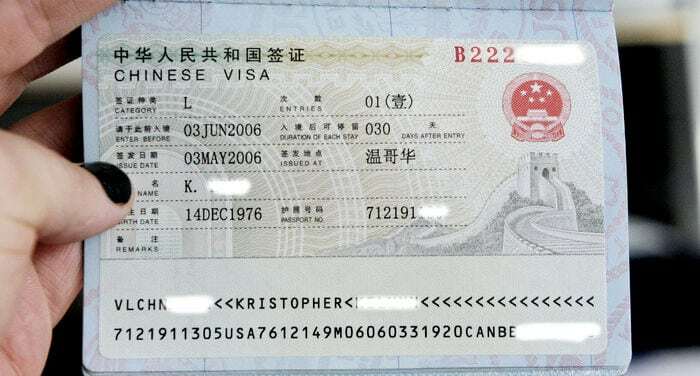 How do you read a Chinese visa? 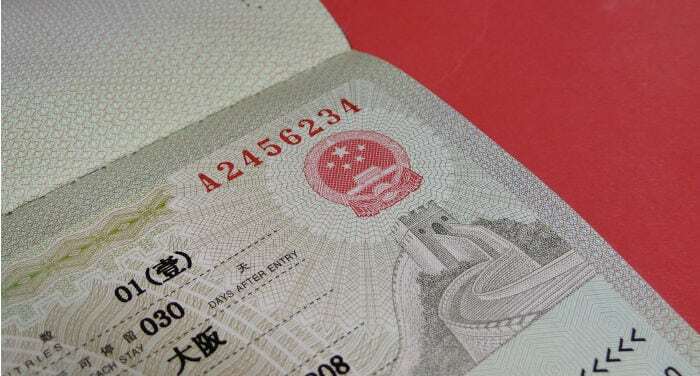 Can I extend the length of my Chinese visa? If you need information about how to obtain a tourist visa (or L visa) for China, you’ve come to the right place. 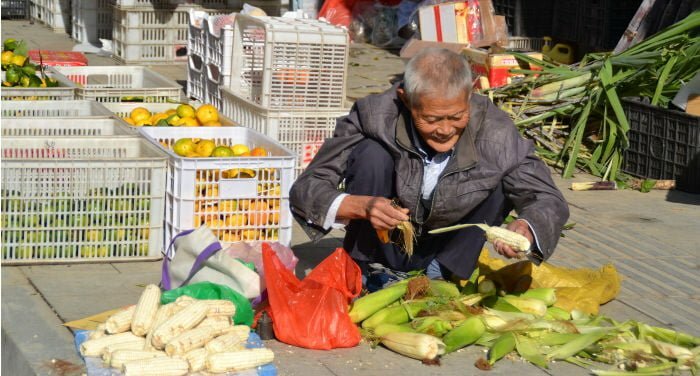 The first part of this article contains a general reflection on the cost of living in China. The second part contains a table with prices of the most common goods and services in the majority of Chinese cities. We’ve included transportation, utilities, sports and entertainment, bars and clubs, groceries and salary. Notice that this data was gathered through a questionnaire compiled by our readers who live in China. The questionnaire is still active and the prices about each city are updated in real-time – just as soon as we gather the data. Click here to “jump” directly to the pricing table. Furthermore, if you live in China, click here to fill out the questionnaire and help us to better our estimation of prices in the city of your residence. Note that at the moment we only have complete information on Shanghai, Beijing, Shenzhen and Guangzhou but, as soon as you send us the data, we will also add information on the other cities! In the third part of the article we calculate the monthly cost of living for three types of expats (which we have called the “prude”, the “average expat” and the “party animal”), in a way to give you an idea of how much you might spend in China (obviously it’s an estimate since we can’t exactly know what you will buy). If you’re thinking about visiting China during the major Chinese holidays, stop and think about it for a moment. Are you really sure that traveling alongside almost a billion and a half Chinese and a few tens of thousands of foreigners is the right thing to do? I was in China for a little more than a month. It was my first time in the Middle Kingdom and I couldn’t wait to travel far and wide. Seeing Xi’an with its terracotta warriors (considered by many to be the eighth wonder of the world) was always one of my dreams… until it changed into a nightmare. Xi’an is the capital of Shaanxi Province, and one of the historic Chinese cities that were once called Chang’an, literally meaning “Perpetual peace”, and is a stupendous city (from what others have told me). This article was written by Tina Guo. 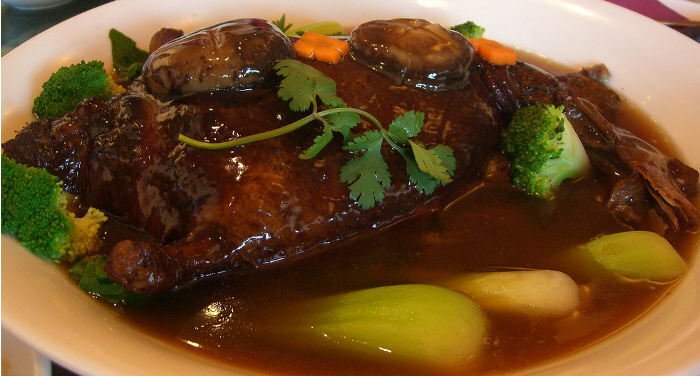 The abbreviated form of Shanghai is 沪 (hù); hence Shanghai Cuisine is also called Hu Cuisine. In the recent history, Shanghai Cuisine has been regarded as a famous school of the traditional Han culinary culture in the regions south of the Yangtze River. During the Tang Dynasty, Shanghai was a seaside fishing village. At the end of the Northern Song Dynasty, Shanghai Town was set up; and in 1291, Shanghai County was established. Before the Opium War, Shanghai was a medium-sized city, with an advanced catering trade, but Shanghai Cuisine had not been formed yet. After the Opium War in 1843, Shanghai was opened up by the Qing government as a trading port under an unfair agreement signed with Britain. 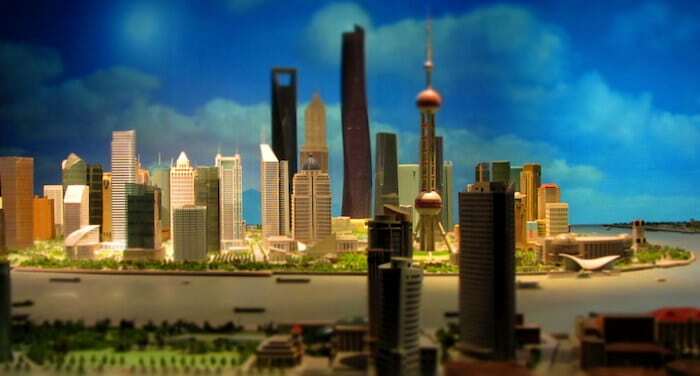 And after that, Western powers began to establish settlements in Shanghai. Therefore, in the early 20th century, various Western cuisines were introduced to Shanghai. Then, the catering trade developed rapidly. Various local schools of Chinese cuisine, especially the schools of South China, vied with each other for good lots and customers, which provided conditions for Shanghai to adopt the advantages of other schools of cuisine. 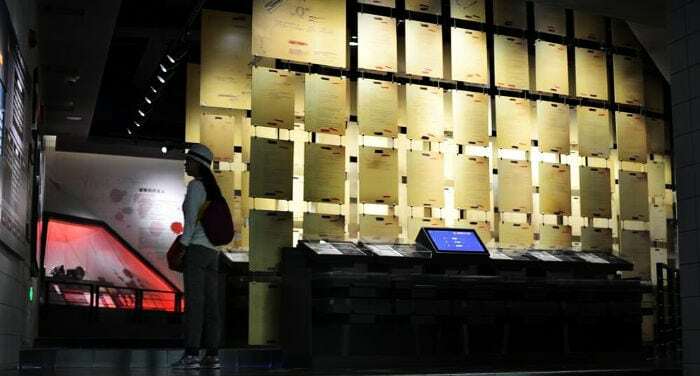 Between the end of the Qing Dynasty and the early times of the Republic of China, a large number of restaurants serving 11 kinds of local schools of cuisine ran business in Shanghai, among which those who served foods of Suzhou and Wuxi cuisine ranked first in number. This guide contains pretty much all the info that you’ll need to prepare your trip to China: Visa requirements, travel insurance, vaccinations, guidebooks, planes and trains, hotels, internet and phone cards. Also, you’ll find tips on where to eat, what to bring to China, when to travel to China, how to avoid the most common scams and how to bargain. Finally, note that in this article we don’t go into detail about any tourist destination or itinerary. If you’d like to learn more about a particular destination, The Great Wall of China at Mutianyu, for example, click here to access our collection of tourist guides. If you want to learn more about a particular touristic itinerary, click here. 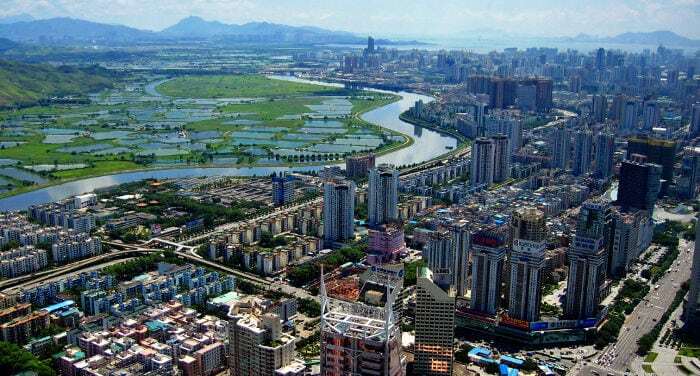 Even though the province is considered one of the poorest in China, both from a gross internal product per capita point of view, as well as the condition of the numerous rural villages that compose it, it is still a source of pride for the Chinese. 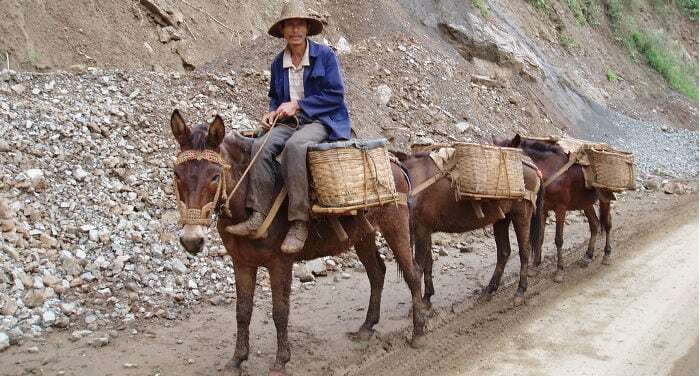 In fact, of the 55 ethnic minorities who live in the country that are considered an important resource by the Chinese people and government for their customs, dress and traditions, a good 18 ethic minorities live in Guizhou; and it’s therefore counted among the provinces with the most minorities! Another source of pride for the province are the Huangguoshu waterfalls. Besides being the largest waterfall in Asia, it is said that from a rock of the falls Sun Wukong was born, symbol of classic Chinese literature and protagonist of traditional opera. 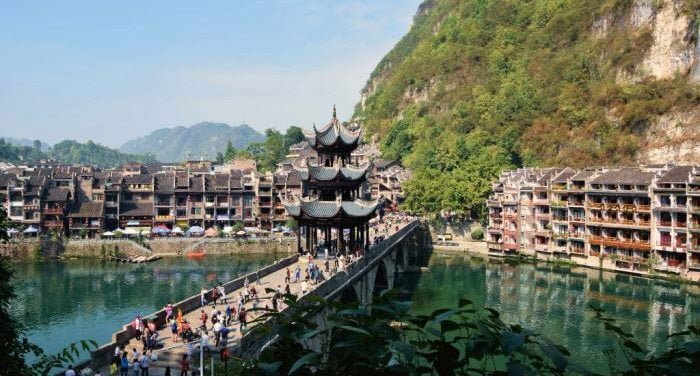 What Guizhou Province lacks is a large and modern metropolis, the capital Guiyang is neither a tourist destination nor a metropolis; so if you decide to travel in the province it is to immerse yourself in nature. 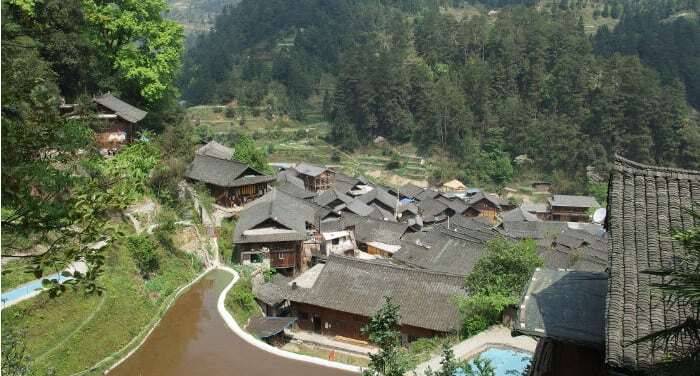 Letting yourself be captivated by the awesomeness of the small villages and attractive scenes in the eastern part of the province is one of the reasons I recommend that you travel to Guizhou, discovering the smiles and songs of the various ethnic minorities can’t help but do you good and make your trip all the more pleasant. It doesn’t lack a historical part, and the old city of Qingyan, a military outpost of the Ming era won’t disappoint your expectations.